Acura is using SEMA 2016 to show off a trio of vehicles and a NSX-themed race trailer. The vehicles include an NSX-inspired MDX crossover, an NSX GT3 and production TLX GT Package. 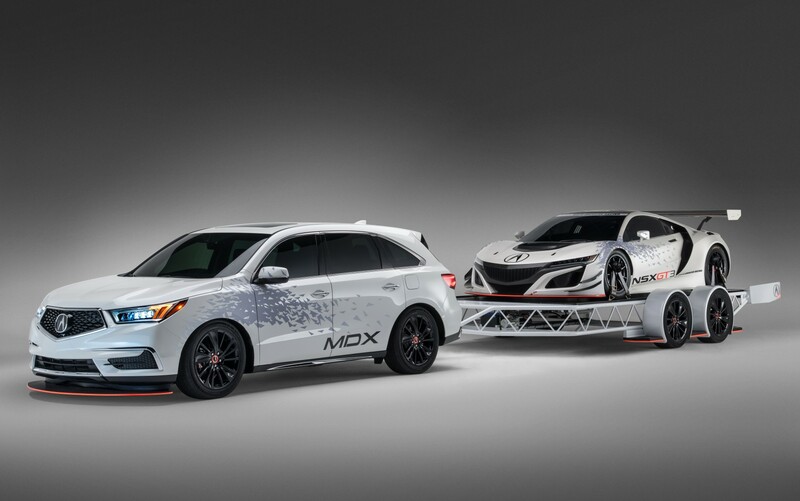 The MDX is wrapped in racing livery that matches the NSX GT3 race car, but its not just a sticker package. 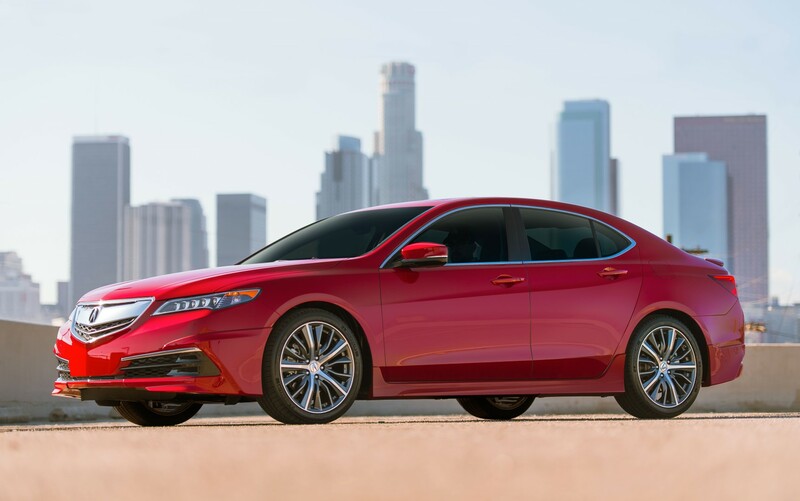 Acura tweaked the suspension with a 3/4-inch drop, 20-inch black wheels and tow package with improved transmission cooling. A carbon fiber wrapped front splitter with orange accents to round out the NSX-themed look. The MDX tows the custom NSX GT3 trailer, which incorporates design cues from the MDX and NSX. Its a fully functional hydraulic trailer with a bed that lifts and lowers. A pearl white powder coat finishes the trailer to match the MDX and NSX. An NSX GT3 race car sits atop the trailer. The NSX GT3 race car features unique body, aerodynamic components and a 3.5-liter twin turbo V6. Acura plans to race the NSX GT3 next year in North America. Hidden in the shadow of the MDX, NSX GT3 and GT3 trailer is a new appearance package for its TLX sport sedan. The new GT Package installs new front, decklid and rear underbody spoilers for a more aggressive stance. The 19-inch diamond cut wheel and tires are optional for the GT package.